It has just been released this morning that the Council plans to fund additional spending in the provision of the new access from Brighton Yard. 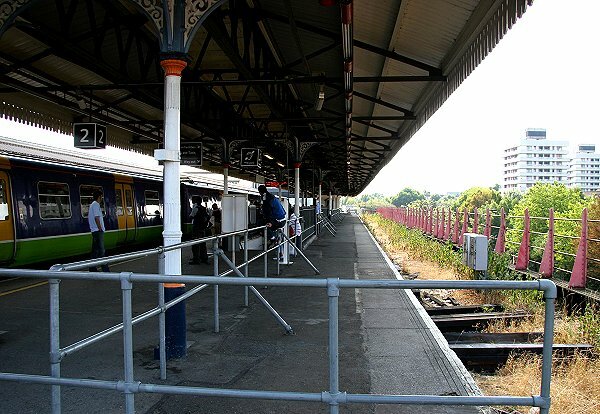 The council is to set aside cash to help pay for a new station entrance at Clapham Junction. The £300,000 contribution will go towards a new entrance at Brighton Yard which is needed to relieve congestion in the station subway. Following a five-year council campaign Network Rail has now agreed to provide the additional entrance on St John’s Hill. This would offer access to the platforms via the existing footbridge and new lifts. The current plans risk being limited to a basic ticket hall with few facilities. This would not be able to cope with large numbers of passengers. The council’s cash will help expand the facilities to include vehicle access, a taxi stand, cycle parking, a suitably equipped ticket office, automatic ticket barriers, toilets and retail units. The final extent of the work will depend on further contributions from Network Rail, the Department for Transport and South West Trains. The new entrance is expected to cost around £1.5 million. Works could start in spring 2010, once work associated with installing passenger lifts has been completed. The proposals will be considered by the planning and transportation committee on November 4. To view the report visit www.wandsworth.gov.uk/osc/planning, look at the agenda for November 4, paper 09-293. Councillors will be recommended to set aside £300,000 from the borough’s budgets for capital improvements. A link to the report (pdf) is available HERE. Current changes occurring in Clapham Junction Station to improve passenger facilities and accessibility are part of the Government’s £370 million Access for All scheme, which envisaged the station being step-free by the end of 2009. This programme is entirely funded by the government (£9m). 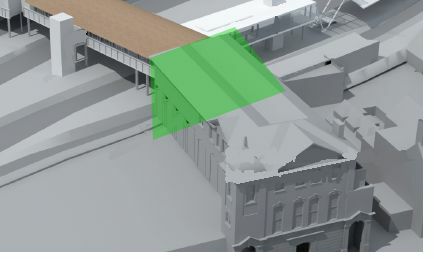 As part of this plan, the Brighton Yard entrance at the top of St John’s Hill is to re-open with a small ticket office to provide direct access to the overbridge and the lifts by Spring 2010 (originally planned for end 2009). In addition Network Rail currently has £22 million in its five-year capital budget for 2009-14 allocated to Clapham Junction, mainly for platform lengthening and straightening (£20 million) with the remaining £2 million for what they call ‘cosmetic’ improvements (it is assumed to be directed to some platforms with canopy and the under-path, but it could also be directed to the new entrance in Brighton Yard). However, some of those items were already listed in the feasibility study into improving the Town Centre published in June 2007 and examined by the Transport Committee (part of the Exemplar scheme aiming at improving Town Centres). providing cycle lanes in Lavender Hill SW11 (Northcote and Shaftsbury). The scheme is estimated to cost £3m, including £800k coming from TfL money and allocated by the Council to the Junction. Therefore it looks like part of the Council’s proposal was already included in the Exemplar Scheme and we wonder if the new announcement is not a rebranding on already planned/funded work. 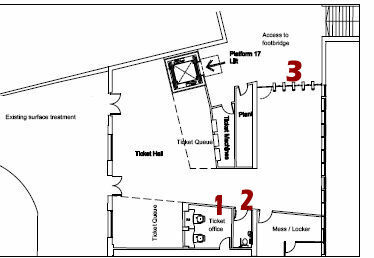 As part of the “Access for All” scheme, the Department for Transport is funding the reopening of the entrance in Brighton Yard with a basic entrance. It will include a drop off facility for passengers with reduced mobility. As part of these works, additional staircases will be provided to platforms 11 & 12 and 15 & 16. A provision of £500,000 has been secured for providing an entrance. However it was originally planned that step-free access to street level in St John’s Hill from the footbridge would be provided as part of the redevelopment proposals by the Metro Shopping Fund. Therefore, with the withdrawal of the redevelopment scheme, NR cannot rely on the private funding and may only use the government’s money to build the step-free access via Brighton Yard. A new entrance and ticket hall is to be created in the area of Brighton buildings, with cycle parking and a drop-off area in Brighton Yard for taxis, cars and service vehicles. The existing entrances to the Station will remain open. The basic entrance funded by the government is already showing some facilities that the Council has listed. The Director of Technical Services proposes that the Council contributes up to £300,000 to the existing new entrance project to help to bring it to fruition (funding subject to agreement with Network Rail and TfL ). It will add to the £500,000 provided by the government. It follows discussions with Network Rail, South West Trains and Transport for London (apparently since September 2009), and suggest that a financial contribution to the creation of the new entrance will facilitate it being given higher priority for investment by NR and SWT. Therefore, WBC’s contribution looks to be an incentive for NR to provide the proper funding for the re-opening of Brighton Yard entrance, providing enough capacity to cater for the flow of passengers envisaged from this side of the Station and to provide congestion relief for the existing entrances and subway. direct funding from the Council under Section 2 of the Local Government Act 2000 (which enables the Council to give financial assistance to achieve well-being). In order to be fair we must acknowledge that back in 2005, the Leader of the Council launched a 10-point plan for Clapham Junction. This plan proposed improvements to the railway station, to the range of rail services using the Station, to the quality of interchange with the town centre and to the town centre itself. This view was certainly considered when the Council officers encouraged the application for the two 42 storey towers put forward by Metro Shopping Fund. As this plan has failed, and the debate on Clapham Junction Station has grown along 2009 and our campaign backed by about 1000 people, it is good news that the Council is making a move . The total cost is estimated £1.5m, therefore there is an additional £700k to find. It could be withdrawn from the £9m “Access for All” scheme, or coming directly from NR, which has a provision of about £50m under the Discretionary Fund or the Improvement Programme to carry out any improvements before 2014. It will more likely be coming from the £2m provision allocated cosmetic improvement for Clapham Junction station. Which has nothing to do surely with the local election next year… and the communication done by the local Conservatives. I was pleased to receive in my mail box the leaflet distributed by the Wandsworth Conservatives for Shaftesbury Ward (click below to see bigger). I was also glad to see that their front page topic was focused on CJ station and that their title was positively acknowledging that work needs to continue. – Extension of the East London Line (read our article HERE) announced by Conservative Mayor Boris Johnson, but after years of campaigning from Labour MP Martin Linton. – New lifts and staircases are being built with a new entrance from Brighton Yard. It is fair to say that the changes occurring in Clapham Junction Station to improve passenger facilities and accessibility are part of the Government’s £370 million Access for All scheme, which envisaged the station being step-free by the end of 2009. This programme is entirely funded by the government (£9m). The Brighton Yard entrance at the top of St John’s Hill will be re-opened with a ticket office to provide direct access to the overbridge and the lifts. – The impossibility to use Oyster Pay As You Go on most of the trains is actually due to the long refusal of South West Train which, despite having renewed its franchise (up to 2017), argued on cost (Southern train accepts them). To make the story short, train companies want to use ITSO cards, currently not compatible with Oysters run by TfL; in addition SWT has managed to negotiate an opt-out clause saying that if they cannot agree with TfL, they are not forced to implement Oyster PAYG. It’s the privatised railways structure itself that makes it difficult. Therefore, negotiation must be carried out between SWT, TfL and Central government (DfT). – Regarding the rebuilding of platform 1… looking at the photo on the right, just remember that the East London Line mentioned above will arrive there in 2012. Work will therefore be carried out without need for intense lobbying. Indeed, especially as the Conservative Councillors have nothing  little to do with these! Clapham Junction has already an allocation of some £20 million for platform lengthening and straightening and £2 million for minor improvements to platforms and the tunnel for the period 2009-2014. Highlighting their concern for Shaftesbury Ward and printing an article on Clapham Junction station on the front page of their leaflet was a very good move from the Conservative Action Team. However it felt short of real proposal and (rightly worded) “actions” for progress. Below is what should could have been the article. 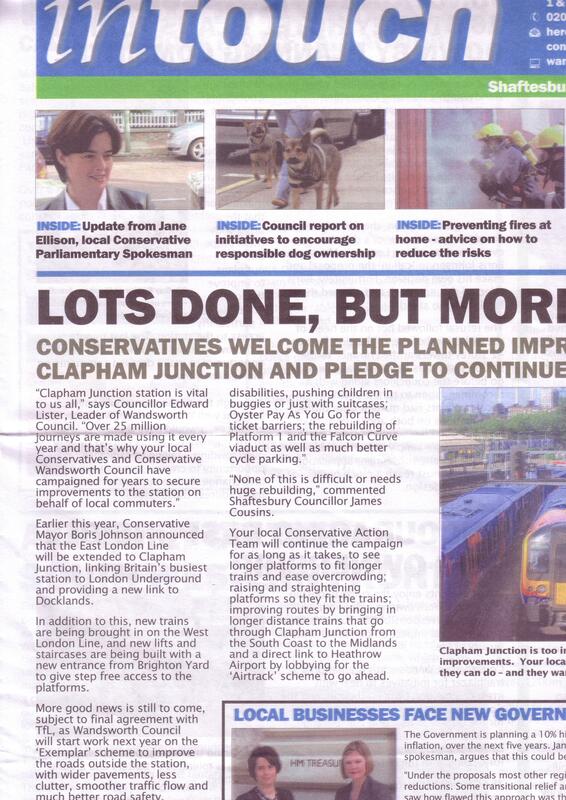 Conservatives welcome the planned improvements at Clapham Junction and pledge to continue the campaign. “Clapham Junction is vital to us all” says Councillor Edward Lister, Leader of Wandsworth Council. “Over 25 million journeys are made using it every year and that’s why your local Conservatives and Conservative Wandsworth Council have campaigned for years to secure improvements to the station on behalf of local commuters“. Each day about 2,000 trains, most stopping, pass through the station, more than through any other station in Europe. Interchanges make some 40% of the activity and by that count too it is the busiest station in the United Kingdom. The recent campaign against the project to redevelop the station by adding two 42-storey towers has shown that local residents rejected the planning application on the grounds that the scale of the proposed development was inappropriate to its location and that the proposed ‘tall buildings’ in particular are unacceptable in terms of their height and design. But most of the presentation were also expressing concerns and suggestions for the regeneration of Clapham Junction Station. Announcement of the direct link to Heathrow Airport (2014). In addition to this, Wandsworth Council will start work next year on the “Exemplar” scheme to improve the roads outside the station, with wider pavements, less clutter, smoother traffic flow and much better road safety. “I am a firm believer that we need to make planning as local as possible to communities because they’re best placed to know what will work. Finding out what the community wants is actually the best way of making sure that when we get regeneration it actually works, and that’s in everyone’s interest“. re-defining the image of the building using stunning architecture. Your local Conservative Action Team pledges to continue to campaign for as long as it takes for a major improvement for Clapham Junction Station which truly places our area on the map as London’s greatest transport interchange. With local groups and Societies, we wish to start a consultation on the future of the area and will campaign for further proposals and a vision for the redevelopment of Clapham Junction Station and its vicinity. So lets start real work now: when can we meet and work together to define ambitious plans for the redevelopment of Clapham Junction Station? Unfortunately this is not easy work and it needs huge rebuilding! See our new article on Brighton yard entrance HERE. A few weeks ago Cllr Tony Belton requested information update after our contribution to the debate on the Tall Building policy, currently reviewed (as part of the LDF) by the inspector. Thank you for your e-mail regarding the “Tall Buildings submission from amenity groups”. A joint letter was produced by the amenity groups and was sent to the Planning Inspectorate. I have attached this for your information. Since the letter was written, at the Inspector’s request, the Council is now consulting on the changes proposed to the Core Strategy post submission, including the policies relating to tall buildings. Letters, informing people of the new consultation, have been sent to everyone who has engaged in the Local Development Framework consultation process, including all of the amenity groups concerned who should now re-submit their comments direct to the Council. Consultation responses should reach the Council by the closing date of 6 November 2009. The Clapham Junction Action Group, albeit involved in the submission and being engaged in the LDF debate, has not received the letter. I managed to get a copy of the letter (but if someone from the Town Hall is reading this, it would be nice in the future to send us the information -we are reachable with the contact form, and we can provide further contact details if requested) that you can read below (click on the image to enlarge). The Wandsworth Society has resubmitted today – and addressed to the Council (Martin Howell) – our brief on behalf of the Putney Society, the Battersea Society and the Clapham Junction Action Group. We are looking forward to the response of the Council. 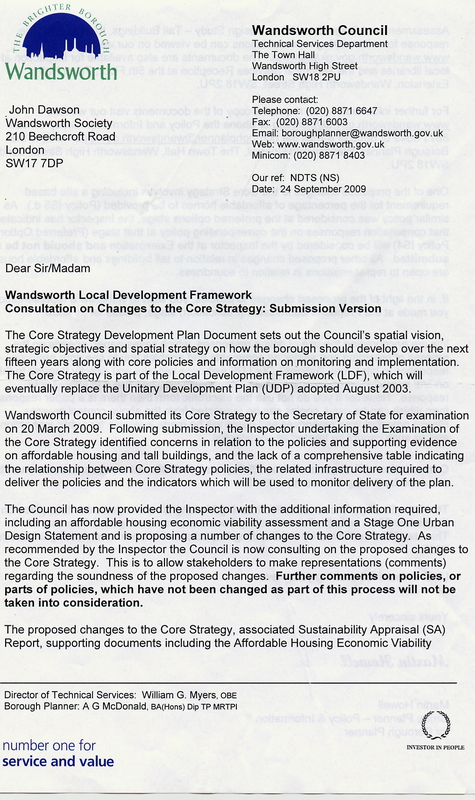 As stated by the letter, consultation will begin on Friday 25 September 2009. All representations must be received by Friday 6 November 2009. The Core Strategy Examination Pre hearing Meeting is now expected to take place on 8 December 2009 with the Public Hearing Sessions commencing on 2 February 2010. 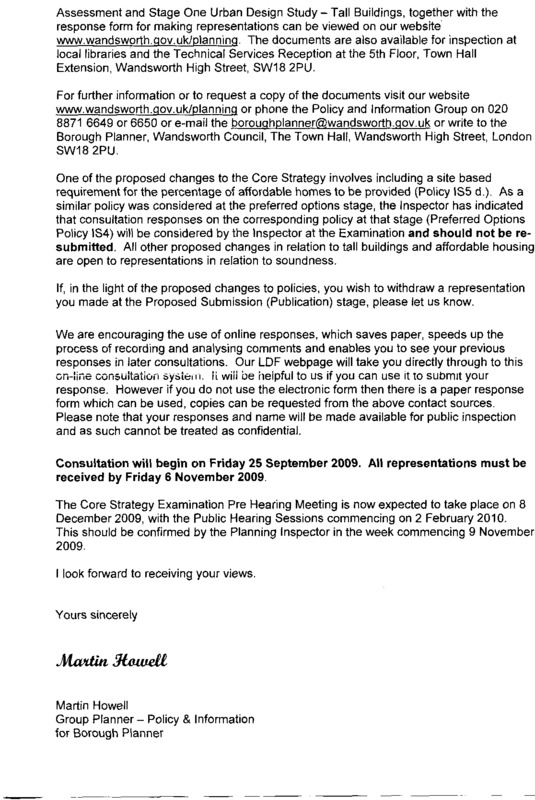 This should be confirmed by the Planning Inspector in the week commencing 9 November 2009. UPDATE 06 Nov 2009: After a bit of confusion to where it was sent an who received it, it was definitely confirmed today by Martin Howell (Group Planner – Policy & Information) that our submission was received and will be added to the representations to be considered by the Inspector. It is interesting that so many people seem to start discussion on this subject from an assumption that the Junction needs some sort of regeneration or improvement in terms of the buildings that currently exist. 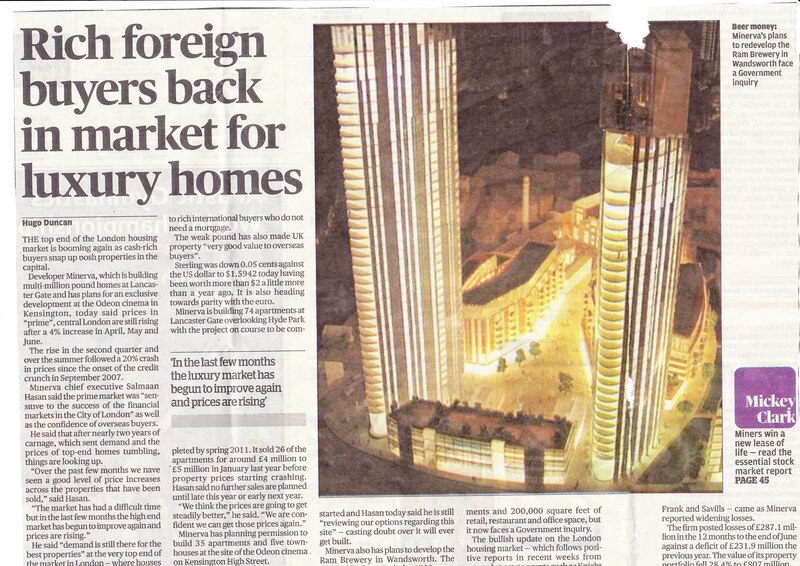 If one looks at the 700+ responses to the Twin Towers debate on the Wandsworth website, however, it is startling how few people really seem to think that the present buildings should be demolished – many love the Junction the way it is. Whilst no-one could possibly argue that the present buildings are lovely, they are functional, well maintained and inoffensive. Meanwhile the area continues to prosper and improve with more new shops and services all the time. Indeed, the overwhelming complaint relates to the station itself and the intolerable levels of overcrowding and unsafe conditions, particularly on platforms 15 – 17. There is also some level of objection, which I personally strongly share, to the traffic situation around the crossroads by the station entrance. The former is most certainly Network rail’s responsibility to deal with and the Council should be pushing for Network Rail to stop avoiding its responsibilities here. Some improvements will happen this year with the opening of the Brighton yard entrance which should take quite a lot of the present flow from the West of the station and therefore ease the overcrowding in the underpassage. (Indeed, one of the reasons we objected to Metro’s application was because it would have cut station entrances from the planned three back to two thereby failing to capitalise on these benefits.) However, there is still much that can be done to provide enhanced access to the platforms and possibly link St John’s Hill with Winstanley Rd for non-station users, either by increasing the numbers of overbridges/underpassages, or by widening the existing ones. In addition, Network Rail must address the platform straightening issue on platforms 15-17 to provide a safer method of training and de-training passengers. In an ideal world, a regeneration of the Clapham Junction area would consist of a fabulous new station complex on the site of the existing buildings South of the tracks on the model of Birmingham New Street. This would recognise the function of the site as a station, and allow a reasonable development of additional office and retail facilities without creating the eyesore of high rise residential blocks. The site should easily justify such a development based on passenger numbers, and I believe that this should remain our aspiration. Turning to the traffic situation around the station, this again is the subject of ongoing improvement plans through the Council’s Exemplar project. I don’t know how this project currently stands, but if it goes ahead this should prioritise pedestrian movements around the junction creating safer and more amenable atmosphere, removing some of the present clutter and freeing up pedestrian flows. It seems incredible that it has taken so long for this scheme to get off the ground and it should now be pursued with all expedience. As a further enhancement, the Council should looking at creating a proper bus station North of the station to provide a proper transport interchange. It seems to me that these structural improvements will do far more to enhance conditions at the Junction than any new development of residential or hotel blocks. In its Planning Committee meeting (September), the Council has approved the redevelopment of the site along Grant Road (Griffon House & Lanner House 6 Grant Road SW11) involving demolition of existing buildings and construction of new building between 6-11 storeys to provide 452 self-contained studio rooms for use as student accommodation (for use of post-graduate students of Imperial College London) together with associated car and cycle parking, landscape treatment, amenity space, access and servicing facilities. I met with the developers in August (read HERE). “The Committee agreed that Councillor Mrs. L. Cooper – not being a member of the Committee – could speak on the application relating to Griffon House and Lanner House, Winstanley Road (2009/2279 – pages 92 to 103). In respect of this application, the Committee noted that a petition signed by 28 residents objecting to the proposed student accommodation had been received immediately prior to the meeting and that it was possible that further pages of additional signatures had not been received by the Council because of strike action by postal workers (post-meeting note: further pages including 14 additional signatures were received following the meeting).